Sandez Family Chiropractic & Wellness Center in Cary offers specific exercise therapy and traction therapy for patients with acute or chronic injuries as well as for spinal hygiene and overall wellness. With our specific exercises & traction therapy you can increase range of motion and flexibility, increase blood flow to necessary areas, rehab degenerative discs, reduce muscle tension/spasms all while decreasing pain and symptoms. These specialized therapies along side great chiropractic adjustments work wonders for most patients. Stretching exercise programs, put together by Dr. Sandez, are also available to our patients for home use. For Dr. Luis Sandez, a commitment to exercise instruction is more than just a marketing phrase. It is an essential part of his personal life and his practice. Dr. Sandez’s experience in exercise instruction, along with his knowledge of functional anatomy through his chiropractic education and training, puts Sandez Chiropractic in a meaningful position to offer exercise advice for each and every patient. Dr. Sandez has an extensive background in exercise instruction. He became a Certified Personal Trainer for the American Council on Exercise at age of 22 and spent 4 years leading clients to improve muscle tone and strength, lose weight, increase flexibility, and reach fitness goals. This is only a partial list of the benefits of exercise. Millions of Americans suffer from illnesses that can be improved or prevented altogether, through regular physical activity. Exercise can be as simple as a daily walk or as complex as a routine at a local fitness center. Regardless of fitness goals, an individual needs a plan tailored specifically for him or her that can be followed and modified as needed. Sandez Chiropractic can advise you on which exercises to do and those to avoid, based upon your current health status. 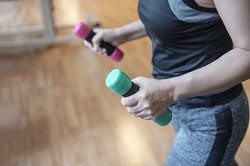 For more information on how to incorporate healthy exercise into your life, Contact Us, Book An Appointment, use our Online Form to the right, or call 919-535-3091. 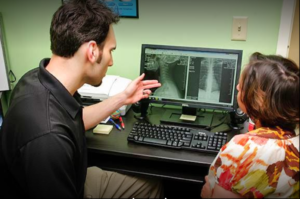 Sandez Chiropractic encourages health and wellness for families in Cary, Morrisville, Raleigh, Holly Springs, Garner, Fuquay Varina, Apex, Durham, Chapel Hill, Wake Forest and the surrounding Triangle NC area. No referral is required to schedule an appointment, and we accept most insurances and can file with them for you.